Apart from the top-class features provided by the app for finding out and making hot deals with nearby vendors/ business restaurants, iScripts GroupDeal allows users to find out the nearest vendor and know the best deals. Users can look for deals which are nearest to their location. Mobile app users can also send connection requests to their Facebook friends from the app. Whoever the user, a novice or a business owner, iCe Hosting services are simple enough for everyone to set up a new website or expanding an existing website to a new level. iCe Domain Services include domain name registration and transfer. Making it easier for the users to host, build and manage your website, all in one place. iCe Site Builder provides a site builder feature to build your own website online. Site building is quite easy enough now for anyone to use, it is a great starting point to get your website online and live for everyone to see. 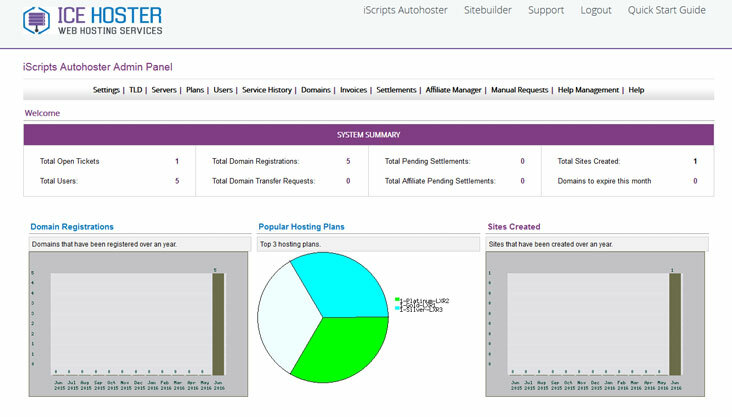 iScripts AutoHoster is a all-Inclusive Web Hosting Management System designed for launching a successful web hosting business. iScripts AutoHoster is designed specifically for resellers, web hosting and web design businesses. 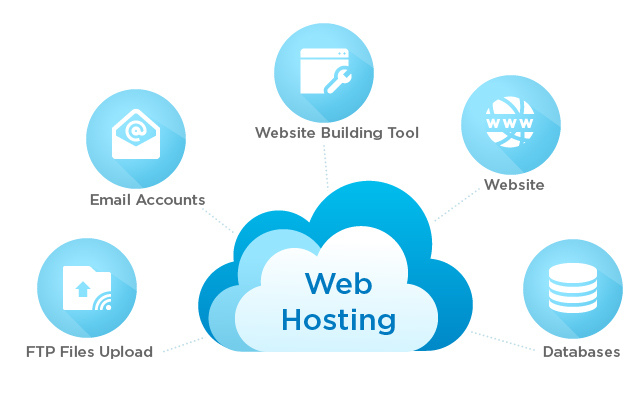 The hosting management software includes a range of impressive features, making it the only comprehensive online web hosting software available today. Call us at (312) 423-6728 with any questions you may have. Printing has been always an evergreen industry, whether considering the developed or developing countries and entrepreneurs can have a lot of opportunities in this industry. Consumer spending and business sentiments have made this industry to grow in world class style even in this digital era. Being one of the major profitable sector, the printing ideas can prosper in the modern world paving tiles to have improved design styles in many like t-shirts, cards, Business branding and many further possibilities. The product demand depends largely on the advertising and needs of business customers. However, the profitability of individual companies closely depends on the effective sales operations. It is the best business idea that you can think of. Everyone loves to wear stylish t-shirts that not only set them apart but also to speak out something that they wish to. Thus, it will be better option to choose starting an online t-shirt design business. Developing an online custom t-shirt printing business is very simple nowadays as many companies provide designing and marketing software that helps you build up your dreams. T-shirts are popular all over the world. If you ever have your idea of creating your own printing store with some brand new designs imprinted on your products, you can just check on some online software that really suits your requirements. The difference that you create to withstand the competitions from existing industries should be your design trends, optionalities, and advanced technologies along with uniqueness. This will help to pave your ways to build your online business services to a greater extent. Keen learners and employees need to be trained on a regular basis to acquaint them with the latest developments, technologies, softwares and make them ready for unforeseen circumstances. It should include relevant information which would help employees enhance their capabilities, eventually increasing their productivity and benefitting the organization. The business owners always look forward to provide something that really delivers and manages all their needs in the most efficient way. The entrepreneurs can hence deliver their services to organizations and institutions that expects these services to the best levels. There are many trusted methods of business promotion. Branding can be through signs, cards, brochures, pamphlets etc. Even in today’s digital era, they haven’t lost their importance. They are indeed a great digital printing business idea. This kind of promotions can also have great impact as they being the visual aids and with pretty designs used. Also this kind of branding helps the business owners to achieve their desired outputs. designed. Although the popularity of postcards had been decreased in recent years, still there are many who accepts wide varieties if provided. The ability to produce gradients, vibrant colors, solids, metallic, spots will all be important when considering these design factors. Better pictures and imprints can be included while designing. Business cards are the perfect way to state all the details related to contact information, business designation, address and many more about the person. This must be unique and Every company has its own brand image and the personalized business cards are an ultimate way to enhance the brand image prolifically. As a result, these items are in huge demand. So starting a card printing business will help with earning a huge revenue. You can identify a suitable section like this in which you could deliver an excellent service. How to choose a suitable software for your printing business? Choosing a suitable software for implementing your business idea can lead you to remarkable success in your forward movements. We iScripts can help you deliver the kind of software you wish to be a helping hand for your printing and designing business. We have an extensive history of setting up and maintaining different pre-built solutions that help business entrepreneurs as well as start-ups to build their business to the next level. iScripts got the solution beneficial for all web to print business including screen printing, transfer printing, and embroidery. You can proudly give your customers the ability to design or engrave products using the powerful features included within iScripts PrintLogic. All you need is a domain. The software comes fully equipped with everything you need to launch and maintain your own online printing business. Intuitive interface and drag-and-drop features have madedesigning most effortless. User designs can be converted to multiple high resolution image types. Also, PrintLogic comes with some advanced features that would contribute some social aspects . An innovative feature where customers can involve in your printing and designing. The user will get a shareable link and he can share the same with his friends/contributors. Contributors can access the link and place an order above min quantity for orders. 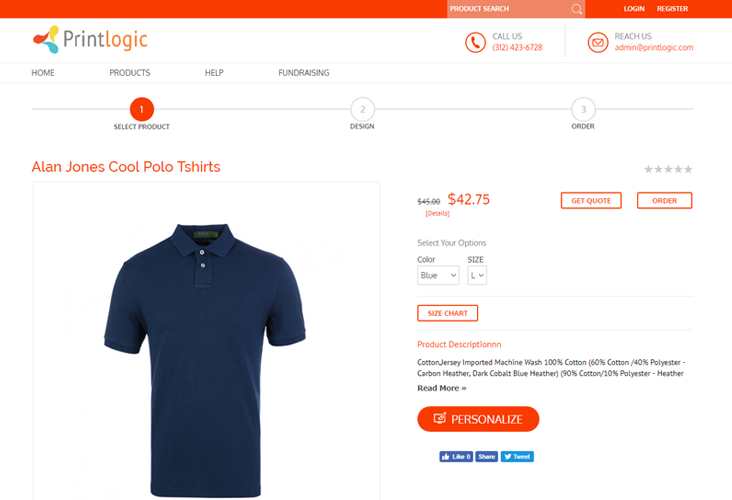 An advanced feature included which helps you to add products directly into the pages without the initial uploading steps. The process is done with alphabroder api Integration. Check out for more features here. Have questions about iScripts PrintLogic and how it can work with your existing business or online business idea? Call us at (312) 423-6728 with any questions you may have. We’d be happy to explain how our software works including any additional business needs you may have. We also offer custom work at a reasonable rate.